Faith can make people believe in the weirdest of traditions; it can take people to great heights to find solace. Faith is a large factor in the Land of Gods i.e. India. Indian landscape is dotted with temples and shrines of various types. Some of these temples have really awkward practices. Here we focus on temples where the devotees offer something unique to the residing deities. 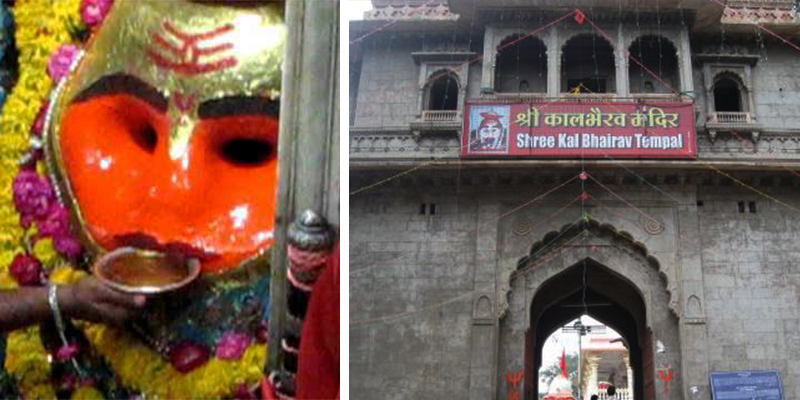 Kaal Bhairav Temple in Ujjain, Madhya Pradesh: Alcohol consumption at or near a temple is a strict no-no at in India, but not here. 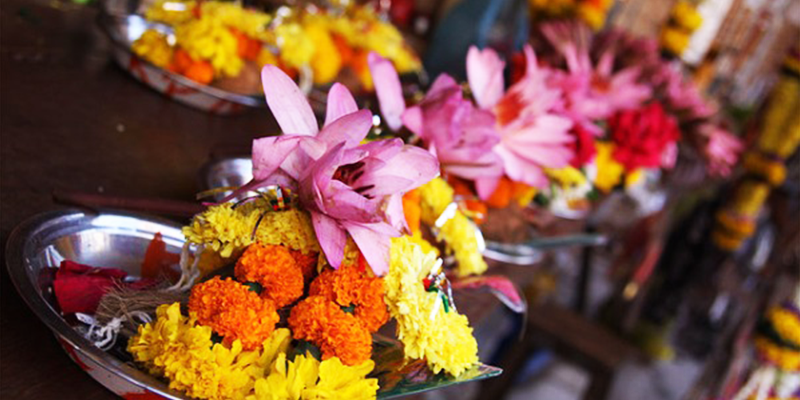 Apart from flowers and coconut, a bottle of liquor is offered to the deity by devotees. There are counters available outside the temple that sells both foreign and country liquor. The liquor offered by devotees is poured in a special saucer by the priest and offered to Kal Bhairav. 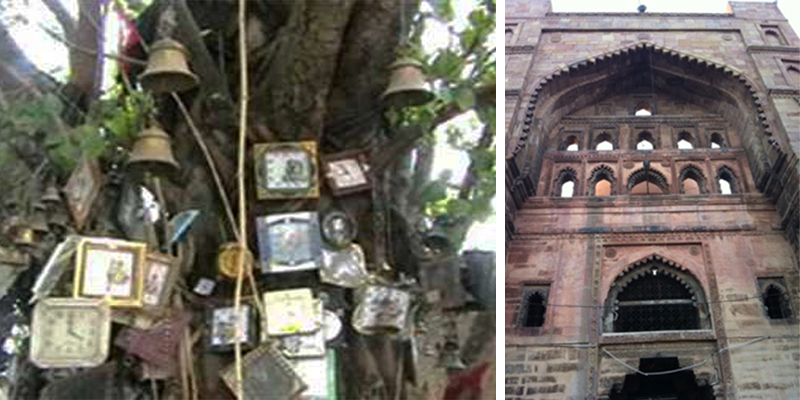 Brahma Baba Temple in Jaunpur, Uttar Pradesh: To pay tributes at the Ghariwale Baba temple, the devotees have to bring wall clocks as offerings. Each day hundreds of devotees queue in front of the temple holding wall clocks in their hands. It is believed that people offering clocks always have their wishes fulfilled. Each day there are 80-100 clocks left by the devotees. 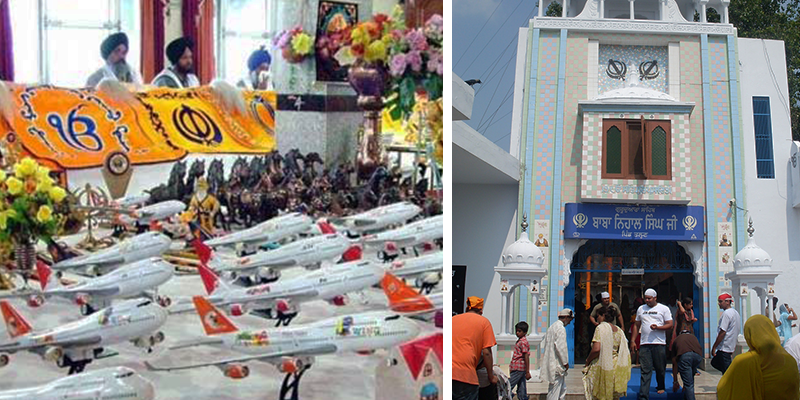 Shaheed Baba Nihal Singh Gurdwara in Jalandhar, Punjab: Better known as the Hawaijahaj Gurudwara, toy aeroplanes are offered here. The temple is visited by hundreds of hopefuls, who wish to make a trip abroad. If someone is not getting a Visa, this is the place to visit with a toy aeroplane. The management here report that at the end of each day there are about hundred toy aeroplanes left in the large shrine hall. 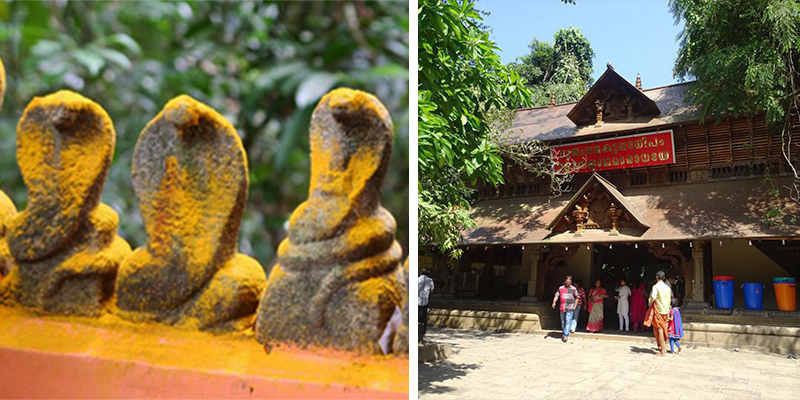 Nagaraja Temple in Mannarasala, Kerala: It is not only the largest temple of the Snake God, but there is an unusual offering made at the temple. Women seeking fertility flock in immense numbers to the temple, and once their wish is fulfilled they have to return. This time they have to bring snake images as offerings to appease the god. There are hundreds of new snake images offered each day. 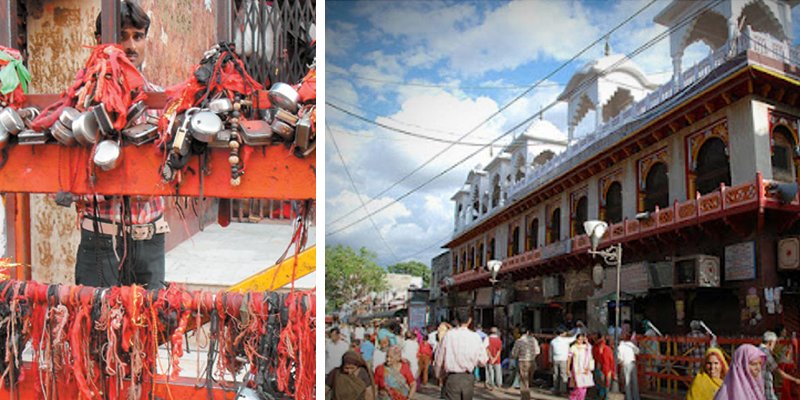 Balaji Mandir in Mehendipur, Rajasthan: Whoever believes in ghosts and their powers of possession, should pay a visit to this temple. Possessed devotees are completely cured of their symptoms at this temple. For the purpose, the devotees have to bring locks as offerings. It is a belief that evil spirits are confined within the locks and hung outside the temple. 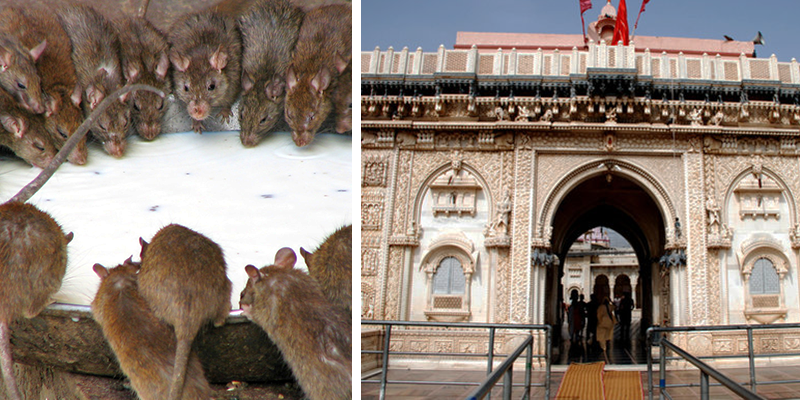 Karni Mata Temple in Deshnoke, Rajasthan: The temple is well known for its large population of rats. It is believed that devotees who have their wishes fulfilled should have a rat made of silver donated at the temple. If any of the holy rats at the temple dies, it should be replaced by a golden replica. 7 th in this List is Shree Balaji Babosa Temple, situated at Babosa City,New Delhi. Here Toffee is offered as prasad and millons of devotees turn up and get blessed. This lesser known hindu god is said to posses similar powers as hanumanji.